The U.S. stock market wrapped up the worst week of 2013, with all three major indexes dropping more than 2%. 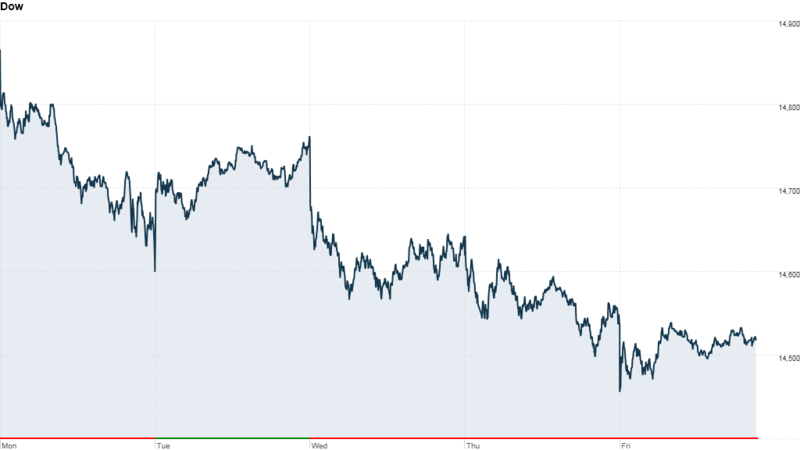 But while the world watched the lockdown in Boston, the fear gripping the city showed few signs of spilling into the stock market Friday. The Dow closed slightly higher despite concerns about the health of tech giant IBM (IBM). Shares of IBM, which carries the biggest weighting in the Dow, dropped more than 6% Friday following weak earnings. Yet the S&P 500 and the Nasdaq ticked higher, gaining 0.9% and 1.3% respectively. Mixed bag of earnings reports: Some of the world's biggest companies handed investors big surprises, but they offered no easy takeaways about the health of corporate America. "No broader trend has emerged yet," said BTIG's chief market strategist Dan Greenhaus. "A lot of what we have seen is company specific." Take industrials. General Electric (GE) spooked investors by noting its big backlog of equipment and services. Its stock fell 4%. Yet, appliance maker Honeywell (HON) reported an increase in first-quarter earnings, pushing up its stock price by 4%. And Big Macs are not so hot. McDonald's (MCD) shares dropped after the hamburger maker noted a decline in same-store sales. 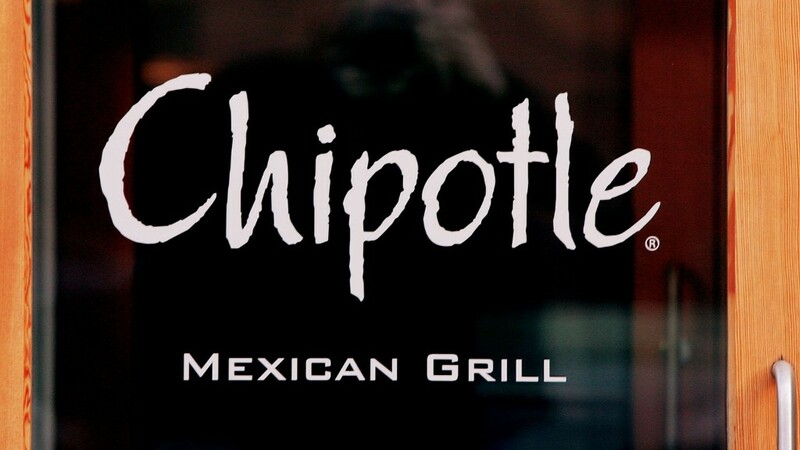 But Chipotle (CMG) -- one of hedge fund manager David Einhorn's least favorite stocks -- rose more than 10%. The Mexican food chain reported earnings that showed increases in revenue, income and same-store sales. The contrasting reports continued in the tech sector. While IBM fell drastically, other tech stocks fared better. Microsoft (MSFT) got a big boost in its latest earnings report from strong Windows 8 sales. Google (GOOG) earnings topped estimates, even as the search giant faces challenges with how to make money off mobile ads and its Motorola smartphone unit. Analysts expect earnings for S&P 500 companies to rise by 2% for the first quarter, according to S&P Capital IQ. But earnings season is far from over. So far, 104 S&P 500 companies have reported, with 70 beating forecasts, 23 missing and 11 coming in in line. Apple, Dell and other M&A news: Shares of Apple (AAPL), which have been in freefall lately, closed slightly lower, hitting another new 52-week low. Meanwhile, Dell's (DELL) stock slid more than 3% following reports that Blackstone (BX) had dropped its bid to buy the PC company. Shares of PepsiCo (PEP) and Mondelez (MDLZ) rose 2% and 5% respectively, after activist investor Nelson Peltz raised his stake in PepsiCo, according to an SEC filing. Peltz, who also holds a stake in Mondelez, is expected to push for a merger between the two, or some sort of combination of their food and snack businesses. PepsiCo said that it has been meeting with Peltz's Trian fund to reevaluate its business. A mega beer merger received the Department of Justice's blessing. The DOJ agreed to allow the merger of Anheuser Busch InBev (BUD) and Grupo Modelo after Modelo sells certain U.S. assets to Constellation Brands (STZ). SeaWorld (SEAS) debuted Friday with the amusement park operator's stock jumping more than 25%. European markets closed mixed, led by a 1% gain on the CAC 40 in Paris. Asian markets ended firmer. The Shanghai Composite closed up 2.1%, Hong Kong's Hang Seng up 2.3% and Japan's Nikkei up 0.7%. The dollar rose against the pound and the Japanese yen, but fell against the euro. The price on the 10-year Treasury fell, pushing the yield up to 1.71%.